Cardiff-by-the-Sea, CA, May 6, 2016 – Strategic Information Group (Strategic), a full service provider of ERP, CRM, QMS and enterprise technology-related services, today announced it has established a Boston-area office in Cambridge, Massachusetts. 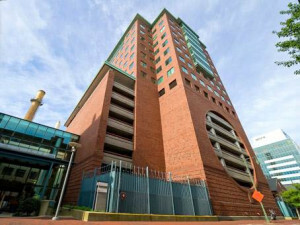 Growing demand from enterprises based in the Northeast USA prompted the need for Strategic to establish a physical location in the Boston area. The new office offers a strategically located presence from which to serve customers in the region. Strategic serves manufacturing and supply chain enterprises across North America, in the Life Sciences, Automotive, Electronics, Industrial Manufacturing, Food and Beverage, and Consumer Packaged Goods industries – from startup enterprises on fast growth trajectories to global multi-nationals. Just blocks from the Massachusetts Institute of Technology and a few miles from Harvard University, Strategic’s Kendall Square location is in the dynamic hub of the Life Sciences industry in Boston. The address for Strategic’s new Cambridge office is: 245 First Street, Suite 1800, Cambridge, MA 02142. The local phone number is: 617-444-8558.